Hungry Harps: #OdwallaCFK "Game Day Challenge"
When I first started participating in Champions for Kids SIMPLE Service Projects, it was very saddening to me. I would read the statistics of kids in my area who need help, and it brought tears to my eyes. It's completely heart-breaking that there are kids out there that don't have the most simple things in life - and it's through no fault of their own. Since my first SIMPLE Service Project with Champions for Kids, my feelings have changed a little. I am still heart broken, without a doubt - but I am also happy to be helping out too. My sadness is what got me helping in the first place, but now my happiness is what keeps me going. Besides, it's hard to have fun when you are sad - and trust me, these SIMPLE Service Projects are a blast! For this month's SIMPLE Service Project, Champions for Kids teamed up with Odwalla and came up with another great idea to help less fortunate children - a Game Day Challenge! The idea is to collect new and gently used sports equipment and donate them to an organization in your area that serves children. I am completely LOVING this idea! 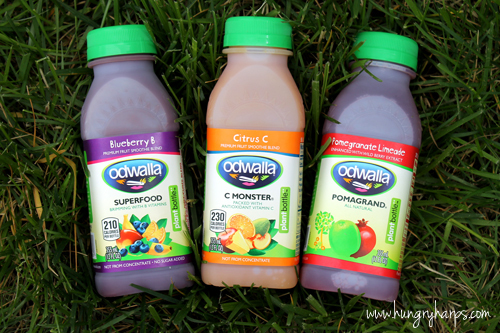 And after reading a bit more about Odwalla - I am LOVING them too!! 2. Do good things for the community. 3. Build a business with heart. 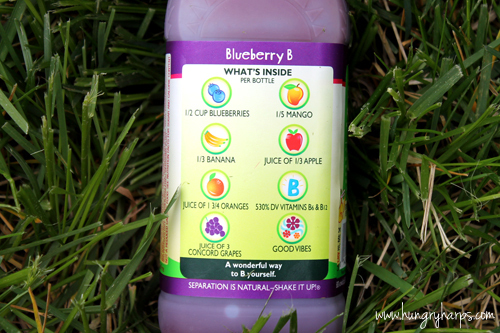 We headed to our local Walmart to start our collection of sports equipment and grab some Odwalla juice - to really get into the spirit of this SIMPLE Service Project! 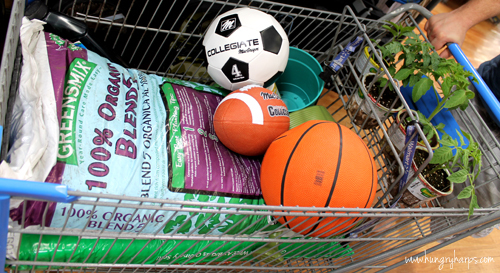 Here is what we found at Walmart to start our sports equipment collection! A little bit of everything, and hopefully something for everybody. 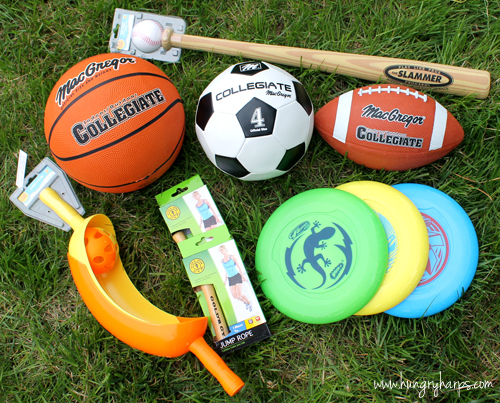 A basketball, soccer ball, football, baseball & bat, a scoop & score, 2 jump ropes and 3 frisbees. Just looking at this picture makes me want to go outside and play!! 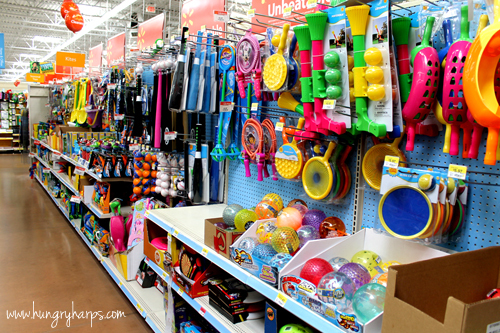 If you are in need of outdoor activities for the kiddos this spring and summer, Walmart has a HUGE selection. (Shameless advertising, but I LOVE Walmart) Not to mention the prices are AMAZING!! Check out what we found here on Google+. We have decided to donate our collection of sports equipment to the Children's Receiving Home of Sacramento. They provide hope and healing for children and their families who suffer from the effects of abuse and neglect. Founded in 1944 and right up the street from where I grew up - this has been a place that my family and I have donated to on a several occasions. I am so excited to bring them the sports equipment we collect! If you want to get involved, it is SO easy to help out. I would love to hear if you get involved! Giving is definitely bittersweet. It is a blessing to be able to do for children in need, and like you, that's what keeps me going! Great post!